On Tuesday, October 23rd, DDI held the annual Employee Service Awards at the Water Mill located in Smithtown. This very special evening paid tribute to DDI staff members for their accomplishments and dedication. Employees who have attained five, ten, fifteen, twenty and more years of service are being honored this evening, not simply because they have demonstrated as members of the DDI family but because their years of service represents a special level of dedication to DDI’s mission of caring for the children and adults we support each day. Our most distinguished employee from this group has worked at DDI for 35 years! CLICK HERE to see the evening’s photo album. Employees who have achieved special recognition from their coworkers for performing their jobs in an exemplary manner were also honored as the 2018 Employees of the Month. 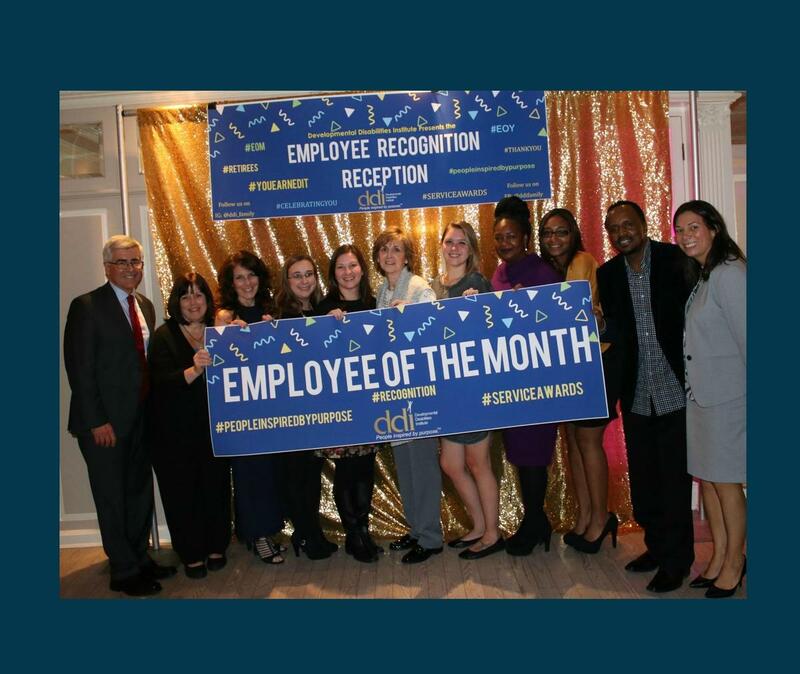 The contributions that each of these employees has made to support the DDI mission were highlighted, and the evening culminated with the announcement of our 2018 Employee of the Year, Dietrich Warner from our Adult Residential Services Program. The recent year’s retirees, who shared many years of service with the organization, were also recognized and honored. DDI’s most important asset has always been its workforce of compassionate and dedicated men and women. No matter what the job – direct care staff, clinicians, support staff, or management – it is the combined effort of all members of the DDI workforce that makes us special and drives our progress forward. We congratulate all of our distinguished honorees for their dedicated work and individual achievements made as members of the DDI Family and thank them for being people inspired by purpose.